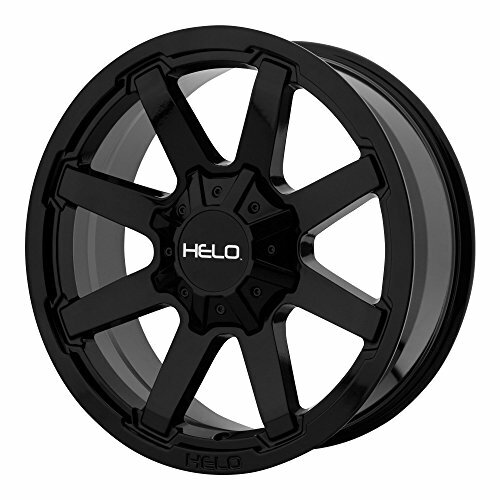 This listing is for the purchase of one (1) Helo HE909 wheel with a gloss black finish. The wheel has a 17" diameter and is 9" wide with a +18mm offset. The 8x180 bolt pattern is made to fit a range of vehicles specified on this listing. Please refer to the vehicle compatibility tool to verify fitment. Don't hesitate to contact one of our product specialists if you have any questions about the diameter, width, offset, backspacing, finish, and more of this Helo HE909 HE90979088318 wheel. FITS: Many vehicles requiring a 8x180 bolt pattern. Use the vehicle compatibility tool on this listing to help verify fitment or contact one of our fitment specialists. FEATURES: 1-piece aluminum construction with gloss black finish. INCLUDES: One (1) new Helo HE909 black wheel.